You know this? 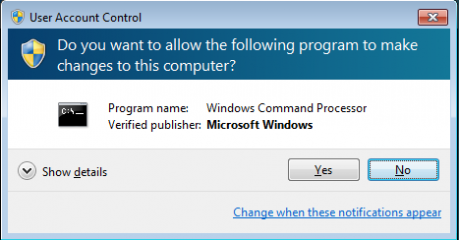 Like to run an VBscript with elevated rights but the User Account Control (UAC) is preventing it. 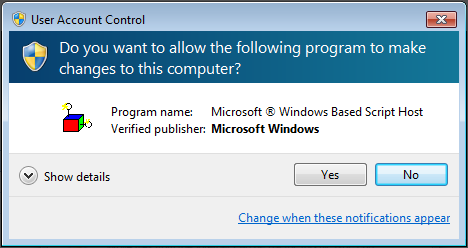 Normally you will open the Command Line as Administrator, and run your script. There is an more easy way to do this. completearguments = completearguments & " """ & wscript.arguments(x) & """"
completearguments = completearguments & " uac"